Hairdressers around the world, with a wide range of clients – celebrity and regular people – love the amazing products available from Leonor Greyl. 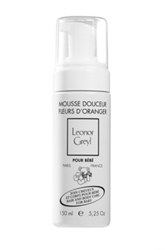 I have to agree that Leonor Greyl offers some amazing hair care products. I’ve personally been using and loving the line for over 12 years. We were one of the first on the web to start carrying the line which we still carry to this time. 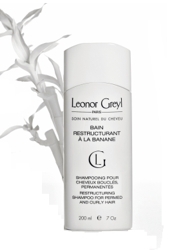 Listed below are just a few examples of hairdressers loving Leonor Greyl. Scott Cunha, of the Andy LeCompte Salon in West Hollywood, has worked on Emma Stone, Miley Cyrus, Nicole Ritchie and Diane Kruger. He is a HUGE fan of Leonor Greyl products and in his words, he’s “obsessed”. Amazing hairdresser Creighton Bowman used the Leonor Greyl products to create perfect snow bunny tresses on the gorgeous Elizabeth Banks and sultry Liv Tyler. Amazing hair stylist Mara Roszak told US Weekly that his secret for creating Emma Stone’s blinding hair shine at the “Crazy Stupid Love” premiere was Leonor Greyl products. Roszak is Emma’s long time stylist and loves the Leonor Greyl products. The lovely Zoe had a gorgeous braid at the Miami premiere of her film, Colombiana in 2011. Her longtime hairstylist Mara Roszak told US Weekly that Zoe’s hairstyle was finished off by Leonor Greyl hairspray. Anthony Palermo is one half of the hair duo that runs the amazing Anthony Leonard salon in Manhattan. 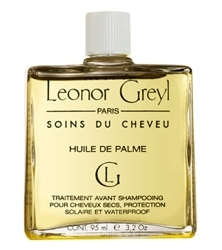 The salon loves Leonor Greyl products (Masque Orchidee, Mousse) and they use the products to protect clients scalps all year long from the sun’s dangerous rays (Huile de Palme). Palermo is responsible for Michelle Williams’ adorable pixie haircut. Erin Anderson, stylist, artistic director and co-owner of Woodley & Bunny Salon and Apothecary loves LG’s Huile de Palme. Anderson loves LG’s Huile de Palme because “this classic waterproof oil can be used in a multitude of ways—as a conditioner and blended with your go-to styling aids for extra hydration and sheen,” she says. Stylist Frederic Birault used Leonor Greyl’s Gel a la Keratine on handsome actor Jude Law while styling him for Dior at the 2011 Palais des Festivals at the Cannes film festival. Star magazine chatted with Jennifer Aniston’s mane man Chris McMillan. He revealed that the weekly treatment has done wonders for Jen – his top client. “Leonor Greyl orchid mask transformed Jen’s hair,” Chris spilled to Star. The hairdressers on the set of the hit television series True Blood reportedly use Leonor Greyl. The entire cast of the show was gifted with shine enhancing Leonor Greyl products such as Shampooing Crème Moelle de Bambou, Huile de Palme and Serum de Soie Sublimateur at a special event. Owner Christopher Downs of Christopher Salon has created an exceptional space with top of the line service and products including the award winning spectacular Leonor Greyl line. Master stylist Danny Jelaca of the Cami Salon in Miami agrees recommends the Leonor Greyl products for polished hairstyles. Hairdresser Cheryl Eckert is the go-to hair guru of the lovely X Factor judge who has long lush dark tresses. According to Eckert, who was quoted in Celebrity Hairstyle Magazine, she keeps Scherzinger’s long tresses full of volume and shine with Leonor Greyl. To give Mila her shiny, sleek cover look for People Style Watch magazine her stylist, Mara Roszak, used Leonor Greyl Voluforme hairspray to set her locks. Mila Kunis loves Leonor Greyl. Voluforme shapes and corrects a hairstyle instantly, setting curls or adding volume at the roots. Hair genius Matthew Monzon is the guru behind Julianna Margulies’ perfect Emmy hairstyle. Using Katie’s Leonor Greyl the hairdresser deconstructed her Emmy up-do style. What’s one of his trade secrets? He mixes Leonor Greyl Huile de Magnolia with his color. “It helps the hair hold it better,” he says. This entry was posted on Friday, December 9th, 2011 at 11:03 pm	and is filed under Hair. You can follow any responses to this entry through the RSS 2.0 feed. Both comments and pings are currently closed.